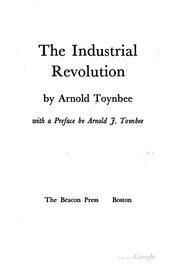 1 edition of The industrial revolution found in the catalog. Add another edition? Are you sure you want to remove The industrial revolution from your list? Published 1884 by Beacon Press . 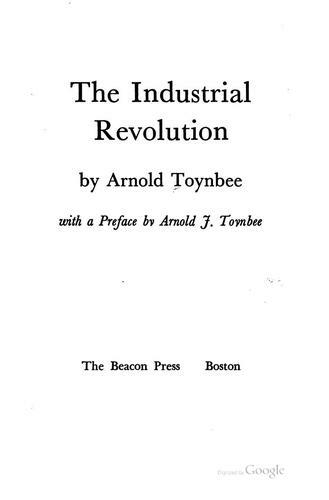 First published in 1884 under title: Lectures on the industrial revolution in England.